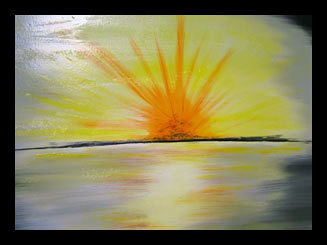 Bright sunrise ‘morning glory’ is a splash of colour on canvas. Using wet on wet on a double primed canvas this vibrant piece was then vanished to add lustre and depth. Currently unframed it measures 20″ x 30″ please inquire about framing before shipping.